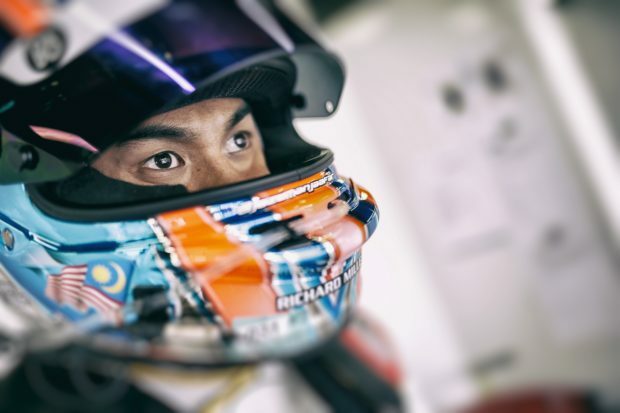 Leading Malaysian racing driver, Jazeman Jaafar, will be out on track at Shanghai International Circuit this weekend, the second in the row for the Jackie Chan DC Racing driver. Hot on the heels of the fifth round of the World Endurance Championship race held last weekend, where Jazeman and his team mates finished fourth in class, he will be out racing again and this time returns for the 2018/19 Asian Le Mans Series opener. The 4 Hours of Shanghai will see Jazeman line up in a field of 27 cars, fielding the Jackie Chan DC Racing ORECA 05 Nissan alongside regular team mates Weiron Tan and Nabil Jeffri, with the entry supported by Sepang International Circuit. Jazeman says of the weekend ahead, “We haven’t had a chance to test the car so we’ll be starting on the back foot, but hopefully we’ll get enough laps under our belt in the practice sessions to be ready for the race. The weekend kicks off with practice sessions on Friday, qualifying on Saturday and the four hour race on Sunday. Check local listings for TV coverage and online for live streaming.